Ladies and Gentlemen… Brothers and Sisters… distinguished guests. 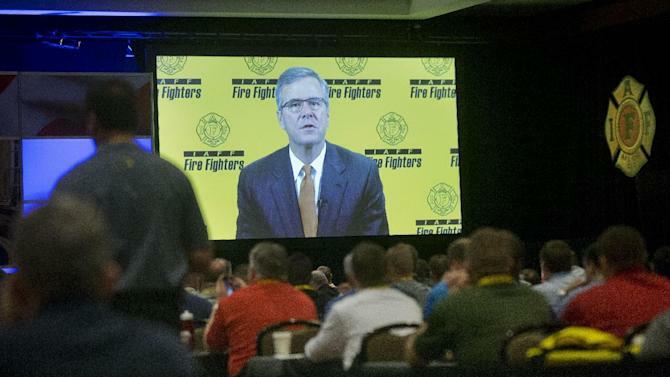 Welcome to the 2015 National Legislative Conference of North America’s Building Trades Unions. This year marks the 60th anniversary of this Conference… and the 50th year that we have gathered together here at the Washington Hilton Hotel. When we reach such milestones in our lives, whether personally or as an organization, we often find ourselves reflecting back on all that has transpired before; taking stock of where we find ourselves today; and then making plans to elevate ourselves and improve in the time that we have left. When the Building Trades first came to Washington in 1955, we came to fight for the same things that we fight for today. Job opportunities for our members; and in 1955 we came to push for congressional approval of President Eisenhower’s plan to construct the Interstate Highway system. We came to fight to protect the community wage and benefit standards that were fought for and established by our forefathers in the 1930s and 1940s. So, when you look at where we are today, nothing has really changed in terms of our overall mission. But, what has changed, brothers and sisters, is the environment in which we must engage in that fight; as well as the tools and strategizes that we must utilize to achieve our objectives. What’s our plan to get us in a position to succeed? In my remarks to this assembly in both 2013 and 2014, I outlined to you our strategic need for a new internal culture premised upon being customer-centric and value-added. I also outlined in detail our two-track strategic approach for winning greater market share and increased membership; while simultaneously building increased political capacity and fostering a more positive image for our unions. And that image is brighter than ever today... thanks to the leadership and the efforts of all 14 of our affiliates who have invested the time... the resources... and the training... to ingrain the principles of pride, performance and professionalism into the cultural fabric of the union construction industry. We are nurturing strong relationships with individual businesses and whole industries through a wide array of customer-centric value that we bring to the table, and which has tangible bottom line benefits. Today, our workforce development expertise is opening doors all across the nation... as we witness the perfect storm of a new construction boom... confronting the demographics of our industry... whereby large numbers of workers in our industry are soon set to retire over the next five to ten years. Also on that list of value-added benefits is our legislative and regulatory expertise at all levels of government; as well as our ability – through numerous investment vehicles – to offer financing assistance for a wide array of construction projects. And all of that is conjoined with a successful and progressive labor relations model that is centered upon a tripartite approach to jobsite management and performance... involving the owner, the contractor, and our unions. The second part of our strategic approach that I outlined to you over the last two years centers upon the building of relationships with government and community leaders at the state and local level. That community-minded approach is centered upon the idea that the Building Trades have the tools, the programs and the wherewithal to help address many of the socio-economic problems that communities and local governments have been struggling with for generations. By leveraging our private workforce development investments with public construction investments, we are demonstrating to local governments and community leaders a path, through formal apprenticeship and apprenticeship-readiness programs, to move historically underserved populations away from a life of hopelessness and despair and toward a rewarding and productive life in the middle class. Today, brothers and sisters, I am proud to report that we are now operating apprenticeship-readiness programs in over 70 localities across the United States - from Rochester to Boston to New York City... from Augusta, Georgia to Detroit... and from Tacoma, Washington down to Fresno, California. The lesson here, is that not only are these programs having a positive impact in the communities in which they are operating... but they are also serving to help us build greater political allies at the grassroots level and to imprint a new image of the Building Trades in the minds of many who may have harbored negative stereotypes and perceptions in the past. Through these outreach efforts at the local level, we are not just creating supporters of our business model, but we are building an army of advocates for this model. Now, the question that we ask ourselves today is this: Is our approach producing success? 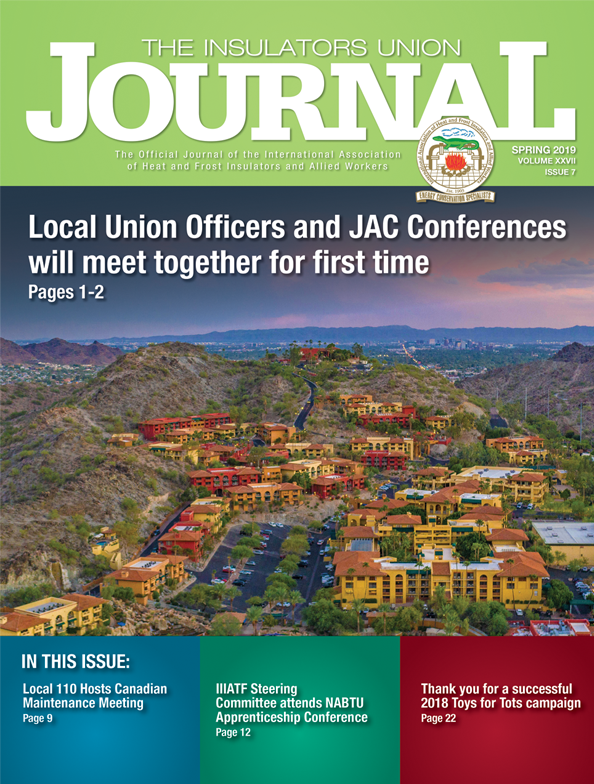 Membership is up; man hours are up; contractor backlogs are up; unemployment is down; and our apprenticeship numbers are starting to come back. According to the US Bureau of Labor Statistics, membership in our building trades unions increased by 53,000 in 2014. This followed an increase of 95,000 in 2013. So, in the past two years our membership rolls have increased by 148,000. Clearly, a large portion of those gains are simply many of our members coming back. And there is no doubt that we still have a ways to go to get back to where we were prior to the crash of 2008. In terms of market share, the numbers are also encouraging. Excluding residential construction and non-production/supervisory employees, the union construction industry, according to US Bureau of Labor Statistics, is today approaching 40 percent density across the United States. And we are building that density by being a value-added partner. Specifically, the efforts that we have put forth to help TransCanada, the owner of the Keystone XL project. I am pleased to report to you today that our efforts have led to over $30 BILLION worth of new work being signed with what can only be described as "non-traditional" partners of the Building Trades. I say "non-traditional," because these entities have had little or no prior history with us. But they are now seeking a partnership... because of the visible and effective efforts we have put forth to assist individual owners and entire industries with various problems that they may be having with their projects - whether it's a legislative or regulatory issue... a grassroots mobilization need... or a manpower staffing need... they now understand and appreciate the fact that the entire range of abilities and expertise that we bring to the table has immeasurable value for their bottom line. In return, they are rewarding us with the opportunity to prove our worth on their projects. And really, that's all we ask - the opportunity to prove our worth. And speaking of proving our worth and investing in ourselves, there is something else I would like to acknowledge here today. For the last two years, I have implored the attendees at this conference to re-examine our collective pension fund investment allocations to ensure that we are directing a substantial and steady flow of money into various investment vehicles that are financing projects that put our members to work. You took those words to heart, and today we are seeing a measurable increase in those investment allocations, which is now amplifying our ability to finance a greater number of projects, and to dictate the labor relations policies on those projects. You’ve done a good job in this regard; but there is still more that we can do. Brothers and Sisters, here's the bottom line: There can be no question that North America’s Building Trades Unions are on a positive trajectory. We are making headway with businesses and whole industries in areas of the nation where we have historically struggled. And we are building up goodwill at the state and local levels, and within individual communities. This is helping to shatter old mindsets and negative stereotypes that have dragged us down for far too long. But, with all this good news, there exists a potential dark cloud that, if not handled properly and strategically, could derail all the good work that we are doing. In the past, I emphasized the fact that multiemployer pension fund reform... and the issue of a new or expanded guest worker program... were the two single biggest obstacles threatening the growth of the union construction industry. Today, thanks to the tireless efforts of the gentlemen up on this stage today, as well as the good work of our legislative representatives...and all of you... we are today in a better position on each of these issues. And while we are clearly not out of the woods yet on either score, I can say to you today that we are advancing the ball in a positive direction. On both of these issues, we were able to achieve significant success because of a willingness to work both sides of the aisle within the U.S. Congress to build bi-partisan support for our position. And that bi-partisan approach is also why in today’s U.S. House of Representatives, which is arguably the most conservative House of Representatives in modern times, the Building Trades have built a bi-partisan coalition that includes roughly 50 Republicans on the issue of federal prevailing wage protections under the Davis-Bacon Act, and we are building increased bi-partisan support for PLAs in the United States Senate. The single biggest thing that can, and will, derail the collective hopes and aspirations that we have for the union construction industry and the members we represent, is for us to make the mistake of having our fortunes tethered to one side of the shifting winds of American politics, rather than focusing on building increased support for our issues and priorities, no matter the party affiliation. Let me take you back 35 years ago, to 1980. In the aftermath of the 1980 elections, we had a Republican, Ronald Reagan, occupying the White House. But, Democrats controlled the US Senate by a margin of 58-42, and Democrats had a 277-158 spread in the US House of Representatives. 29 State Legislatures were controlled by Democrats; 15 controlled by Republicans; and 5 were split. And Democratic Governors were in power in 31 states, versus 19 Republican Governors. Fast forward to today, and we all know it's a completely different story. and it's the Republican Party that enjoys a 57-seat advantage in the U.S. House of Representatives. And the situation, for the most part, is the same at the state level. The GOP now has outright control in 31 state legislatures - the highest number in the history of the party - while the Democrats have outright control in just 11. 8 states currently have split control. Republicans currently hold the governorship in 31 states; while Democratic governors are in office in only 18 states; and an Independent holds that office in another. There are now 23 states where Republicans are in control of BOTH the Governorship and both houses of the legislature, while Democrats have that level of control in only 7 states. And several of those states elected Republican governors in the last election cycle. Brothers and Sisters, regardless of how we wished it would look... blue or red... the fact is TODAY WE LIVE IN A PURPLE WORLD! Further, it’s a purple world that is mostly tinged with red. We all wish it were different. But, the fact is this situation is not likely to change any time soon. Or, we can do what others in the labor movement have historically done... hitch our wagon to one political party... with the hope that things will turn around overnight... and that we don't wither away into irrelevance in the meantime. Today, we are under attack in several states – most notably, Nevada, West Virginia, Indiana, and Wisconsin. And I want to acknowledge and thank the Building Trades leadership... and our contractor allies in those states... for the fights that they have waged, and for the diligence with which they have sought to protect the interests of our members. When we examine those states where we are having these bruising fights – from right-to-work to prevailing wage repeal – there is generally one common link. These are states where others within the labor movement historically have been “all-in” politically with the Democratic Party. There is no question that the Republican Party has turned to the right. Just like there is no question that the Democratic Party is veering to the left. Yet, there is also no question that the attacks we are seeing today on the labor movement are political in nature. Indiana Governor Mike Pence is continuing his discrimination agenda by now finding the time to single out and discriminate against construction workers who he and his friends in the legislature think are paid too much. As a result, the men and women of Indiana's construction workforce, both union and non-union, can look forward to potential wage and benefit cuts between 30 and 40 percent. It will be our intention to continue to educate our members, the public and, yes, lawmakers - regardless of party - about the true nature and intent of these proposals to give hard working Hoosiers a pay cut and deny businesses the skilled workforce they need to compete. These attacks have not, and they do not, make a distinction when it comes to various elements within the labor movement. And that is a problem for us, brothers and sisters. We need to do a better job of explaining our business model in a way that creates a distinction. We, all of us, need to step back from getting trapped in the “Democratic vs. Republican” horserace analysis that has become so central to the labor movement, as well as popular culture and the media. We can no longer allow that to dictate OUR attitudes and actions. Because if and when we allow ourselves to get caught up in that analysis, then we have lost our focus on what is truly important to our industry and to our members. We need to start playing our game. We need to be more thoughtful and strategic in how we approach our participation in the political arena. And that means cultivating and constructing what we call “Building Trades Majorities” at all levels of government. The campaign for marriage equality is a perfect example. Ten years ago, few of us would have believed that marriage equality would ever become a reality in America. And there are valuable lessons that can be learned from this campaign. There was a strategic move to localize the issue. These local experiments then become living, breathing case studies that other states and communities could observe and study. This is why our efforts to implement apprenticeship-readiness programs... and to work with local government and community leaders... is so vitally important in changing the narrative when it comes to our Building Trades Unions. Brothers and sisters, for over 100 years, our unions have always figured out how to adapt and evolve with the times. For the past two years, I have implored this conference to think smarter and more strategic when it comes to how we deal with owners, end-users, community leaders, and our approach to politics. And when it comes to politics, especially in this day and age, it simply makes no sense to put all of our eggs in one political basket. The days of our unions being viewed as the “hand maiden” of any one political party, or the pawns in someone else’s political game... MUST NOW COME TO AN END! For far too long, the Building Trades have suffered and sustained collateral damage as a result of the short-sighted political fights waged by other organizations. And what also needs to end are the days of politicians having unchecked expectations that our political support is automatic. We must cease to view politics as a charitable endeavor. For us, politics must be viewed through the same lens we view everything else: AS A BUSINESS! Nothing should be ventured, in terms of political support, unless, like the rest of the free world, the policies and outcomes that affect our members get a complete and fair hearing. If we do not get those assurances, then we should not be engaging with those politicians! We need to step up our game when it comes to politics, just like we have stepped up our game in terms of building a new internal culture... building new collaborative and customer-centric relationships with businesses and industries... and building community goodwill all across the nation through our apprenticeship and apprenticeship-readiness programs. Now, in addition to exercising more discretion in terms of our general political support, we need to also assess whether or not we truly possess a modern, effective political operation at every level of our institutions - and one that is calibrated not for party politics, but to establish Building Trades majorities. Is our political operation admired and respected? Are we being more innovative in terms of using data? Are we utilizing all the modern communication tools at our disposal? And more people like New Jersey Democratic Congressman Donald Norcross - an IBEW member; or New York Republican Congressman Richard Hanna - a member of the International Union of Operating Engineers - helping to tell our story in the caucus rooms and meeting rooms in the U.S. Congress. Or the dozens of our members who hold office in state legislatures across the nation. Are we taking care of the basics when it comes to the education and engagement of our members? In other words, are we talking to, and educating, our rank and file members on a consistent basis... and in a way that they are receptive to... and which motivates and connects them to the political process and our role in it? And are we doing this on a year-round basis... and not just in the weeks following Labor Day in an Election Year? When we commit to doing all of these things, brothers and sisters, people – especially politicians – will come to understand that the Building Trades will be a force to be reckoned with – one which possesses the means and the wherewithal to back up what we say. Our members and our organizations are not tools to be used... and oftentimes abused... by political parties for their own self-interests. Yes, I understand that virtually all of us in this room today were brought up to believe that the Democratic Party and the labor movement are philosophical soul mates. Well, that may have been true at various points in the past. But, I can tell you that today we are finding ourselves having almost as many disagreements with the Democratic Party as we are with Republicans. In fact, just last week over in Annapolis, Maryland we were once again reminded of this fact. The state of Maryland has a prevailing wage law that, unfortunately, is coupled with a ridiculously weak system of compliance. In fact, current law only allows for a $20 per day penalty for non-compliance. Now, you don't need an MBA to figure out that $20 per day is an easy cost to cover when you are cheating workers out of wages. A parking ticket in downtown Annapolis costs more than $20! So, the Building Trades endorsed a legislative proposal to increase that penalty to $250 per day. Again, we are talking about the Maryland State Legislature – arguably the most Democratic state legislature in the nation. But incredibly, Democratic leaders in the Senate, engineered a maneuver to water down this measure at the behest of the ABC. And then the Democratic leaders in the House played the same game. Again, we are talking about a state legislature that has supermajorities of Democratic control. Brother and Sisters, this speaks volumes. These are people we have supported for decades with our votes, our resources and our voices. And this is the lack of respect that all construction workers – union and non-union alike – are getting from Democratic leaders in a blue state like Maryland. I don't know about you, but I find this to be both professionally and personally offensive. Brothers and Sisters, a price must be paid. Because if not, we will simply be rolled again and again. We need to remind ourselves every day that, in today's political world, there is always a shiny new toy that comes on the scene. In many respects for the Democratic Party today, that shiny new toy is represented by a radicalized environmental movement and its billionaire supporters. Which, of course, mirrors the billions of dollars from just a handful of donors that are flowing to the Republican side. And this new support has made it all that much easier for some Democrats in Congress to stand on the floor of the House and Senate and disparage the jobs associated with the Keystone pipeline – OUR JOBS – as being, quote, unquote, "TEMPORARY." First off, we are not climate change deniers. but does so in a manner that does not destroy the American middle class and the ability of our members to ply their crafts. Our unions seek energy independence. And American energy independence equates to American national security. There are far too many of us in this hall today who have personally suffered a loss because our nation has had to go to war to protect vital energy sources that are critical to our economy. Tomorrow, we will hear from Retired U.S. Marine General James Cartwright, who knows firsthand the strategic importance of an America that is increasingly energy independent... and who understands how a thriving energy sector is helping us to create jobs and career training opportunities for military veterans through our Helmets to Hardhats program. Contrary to what some may think about us when it comes to environmental issues... the Building Trades understands the need for a comprehensive national approach that ensures a sustainable, and accessible, supply of affordable energy for the United States. Further, we also recognize the need for an economic development strategy that moves our nation towards more efficient, innovative and, yes, "cleaner" energy technologies. And that view has been widely shared with both Democrats and Republicans, which makes it all the more distressing when some of our so-called "friends" stand up publicly and belittle the career choices made by the men and women of our unions. All of this brings me back to what Dennis Duffy said in the opening video we just viewed. We all took an oath of office to represent our members. And that oath of office did not include an oath of allegiance to either the Democratic or Republican Party. We can all still be solid and proud trade union leaders even when we are working both sides of the political aisle. After all, our membership is split along both sides of the aisle. Consider that for over a generation now, according to AFL-CIO exit poll data, that roughly 40% of our collective membership consistently votes for the Republican candidate for President; for Governor; and for the United States Senate. This is not a recent phenomenon, and the AFL-CIO has the data to prove it. The fact of the matter is that the men and women that we represent – who are roughly split 60-40 between Democrats and Republicans – deserve nothing less than our utilizing every available strategy, process and resource to better their lives. Especially when it comes to politics. And if that means working both sides of the aisle to construct "Building Trades Majorities" that may run counter to the political sensibilities of some of our friends and allies, then so be it. Well, that might be true. Or, it may not be true. As trade union leaders in this day and age, you have one of the most difficult jobs on Earth. What I'm simply asking each and every one of you is to approach your job in the exact same dedicated manner as you approached your craft... and not be afraid to try! Sure, there are some Republicans who will never be willing to listen to us. Just like there are some Democrats who consistently align themselves with special interests whose primary concern is not the American middle class. The point I’m making is that we won’t know whether we can find common ground with any lawmaker, regardless of party, until we genuinely attempt to reach out to them and start a dialogue. We need to explain to them our business model. We compete for every job opportunity we get... there are no seniority rules in our unions. And we self-fund our training and education infrastructure. This all adds up to a private-sector based model to help build communities and lead people out of hopelessness and despair and onto pathways to productive lives. Put simply, Brothers and Sisters, our business model dovetails nicely with the personal and governing principles of many lawmakers, regardless of party. Again, this was the experience of our brothers and sisters in Ohio. Prior to engaging with them, they thought that all Republicans had horns on their heads and pitchforks in their hands. Through dialogue and education, they soon discovered otherwise. And more importantly, it was the exact same experience for those Republican legislators. Once they better understood our business model, they saw how well it jibed with their principles. Brothers and sisters, all I'm saying today is that it's time for us to start playing a new game. Sure, we can't do it overnight. But, 10 years from now... the economic well-being of our members should no longer be dependent upon who occupies the White House... a Governor's mansion... a state legislature... or the US Congress... because we have constructed "Building Trades Majorities" at all levels of government. We stopped playing checkers long ago... we need to perfect our chess game. Our story is America’s story. Our members and our unions are the real deal. We have heart and character. We are the builders of America. And we are driving the bus of economic and social opportunity. Ours is a business model that people of all political persuasions should embrace... provided we take the time to engage with them... and explain it to them. Because in today's world... you win with your briefcase, not your brawn. North America's Building Trades Unions represent the true values that make America the greatest nation on this Earth. We can set an example that liberals, conservatives and independents – ALL support. An America of HOPE... OPPORTUNITY... and the ability to earn a fair day's pay... for a fair day's work. In business and in politics, the Building Trades is about bringing both sides together – because two sides make a whole. We have a great opportunity to make continued progress with a proven formula for success. 100 years ago, the Building Trades were the bedrock of the American labor movement. And today, brothers and sisters, we are still that bedrock. And that's because of who we are... what we do... and what we represent. WE ARE NORTH AMERICA'S BUILDING TRADES UNIONS! At issue is giving President Barack Obama streamlined authority to negotiate the Trans-Pacific Partnership (TPP), a 12-country free-trade deal that would essentially dwarf the 1994 North American Free Trade Agreement (NAFTA). Many letter carriers can well recall how NAFTA devastated the American labor force by sending millions of jobs overseas. Chief negotiators for this new TPA measure claim to have included in it provisions that will protect American workers and renew trade preference (“Buy American”) programs. However some lawmakers are skeptical of the Obama administration’s trade agenda, and this skepticism could translate into opposition of any trade legislation that limits Congress’ ability to offer amendments but instead favors straight up-or-down votes. House Republicans want a vote on the bill before they break for the Memorial Day recess; however, support for the Hatch-Wyden-Ryan TPA bill is unclear. The measure needs 218 votes to pass in the House of Representatives. That means between 10 and 50 Democrats will be needed to support the bill—depending on how many of the 247 House Republicans might break ranks and oppose it. On that front, there could be anywhere between 24 and 50 Republican who oppose this TPA, alongside an estimated 10 Democrats. “We don’t know how many Tea Party Republicans will not want to give the president this authority,” said Rep. Tim Ryan (D-OH), who is also actively opposing the bill and represents a heavy manufacturing district. “You see on some of the negotiations with Iran [LINK], they want a heavy amount of oversight; they want to watch every move that he makes. “If that same group applies that same standard to this trade agreement,” Ryan said, “there may be some backlash with us in the House not having the ability to amend it. In the Senate, Finance Committee Chairman Hatch wants a much earlier vote—by the end April—but he will need six supportive Democrats to get to a 60-vote, filibuster-breaking threshold. At a Senate Finance Committee hearing Thursday to discuss the legislation, several senators raised concerns. “Not fair and not adequate on such an important issue,” said Sen. Chuck Schumer (D-N.Y.), the Senate’s third-ranking Democrat, who protested plans to rush to a vote. In anticipation of introduction of the bill, NALC joined several member of Congress and the leaders of other organization at a rally Wednesday on Capitol Hill to voice concerns over trade agreements that fail to address labor’s concerns. “Our message to all 535 members of Congress is the same,” NALC President Fredric Rolando said at the rally: “We strongly oppose Fast Track authority, and we expect every one of you to vote against it. “We’ve all seen this movie before,” he said. “Big business and Wall Street banks push secret, anti-democratic deals to protect the investor rights of multi-national companies, under the banner of ‘free trade.’ And they promise rising wages and millions of jobs. Also joining Warren to speak were Sens. Sherrod Brown (D-OH), Al Franken (D-MN) and Bernie Sanders (I-VT) and Reps. Rosa DeLauro (D-NY), Keith Ellison (D-MN), Alan Grayson (D-FL), Dan Kildee (D-MI), Rick Nolan (D-MN), Tim Ryan (D-OH) and Brad Sherman (D-CA).